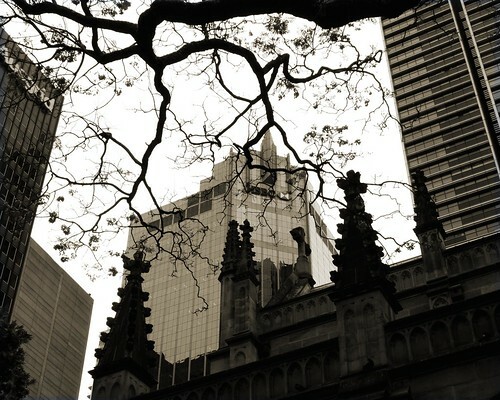 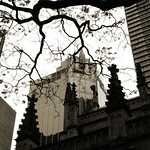 Sydney skyline featuring St Andrews Cathedral. Who is encroaching on whom? Is it the spiritual or religion; is it the secular or capitalist economy; or is it nature?